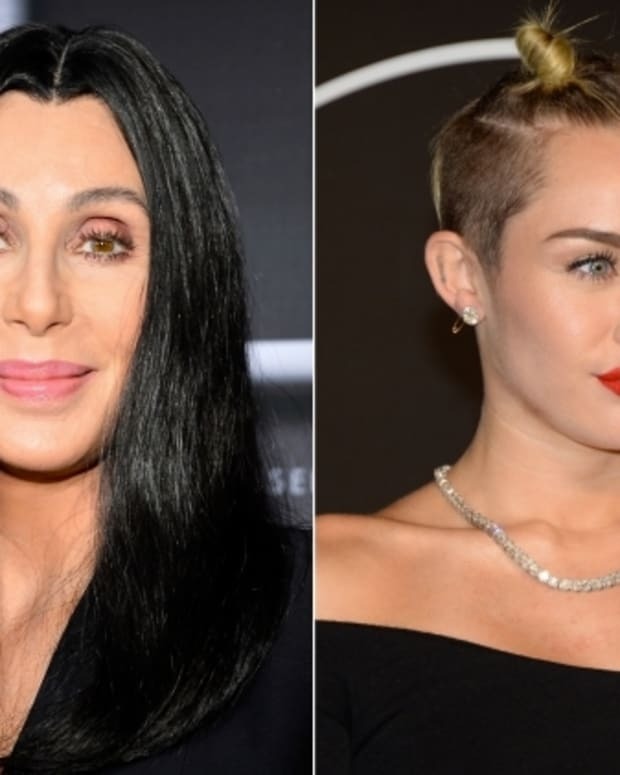 Cher has been known to spout off a time or two on Twitter (who can ever forget when she called Donald Trump a "pompous a-hole") and she recently went off on the TV show &apos;Bridezilla,&apos; which some people took as a shot against the ever-popular Kardashian girls. It started when she tweeted: "Looking at show called "Bridezilla" chick named Rae Rae! I don&apos;t know ENOUGH Swear Words 4 This OBNOXIOUS B**** ! Run 4 yer Life Husband 2B." Soon she tweeted again: "I don&apos;t watch reality! Never saw a Kardashian but these B*****s should b Drop kicked down a freeway !Not kidding! Nos I no r this Fkn nuts." The garbled grammar and mention of the reality stars confused fans, with many thinking she was slamming Kim, Kourtney, Khloe and the rest of the clan. But she made a number of followup tweets as she tried to clear up the issue: "Not K&apos;s! dont know them!&apos; and told another: &apos;DONT Hate THEM dont know THEM"
That didn&apos;t soothe nerves, so Cher went to Twitter again: "Let me be clear! Am not Hate&apos;n Kardashian Fam.Don&apos;t know them! Bridezilla&apos;s crazy b******!Saw Brother on DWTS & my friend told me bout girls." Cher then admitted she had blundered: "By lovelies! Seems I put my Size8 1/2&apos;s in my mouth again! Isn&apos;t the 1st time Won&apos;t b the last !Sometimes I should run my words by my BRAIN." Cher may come face-to-face with the family next week when she will be attending &apos;Dancing With The Star&apos;s to support her son Chaz. The Kardashian clan may be too, cheering on Rob Kardashian, the youngest of the famous siblings. Mom Kris and dad Bruce have been at previous shows.